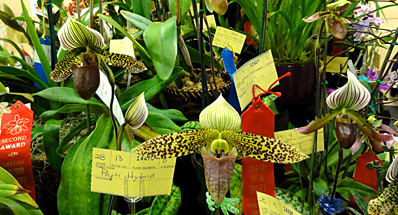 This section is for the Orchid Beginner. 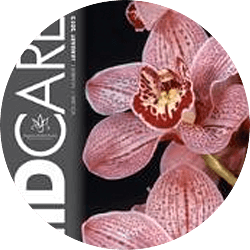 See answers to the most popular orchid questions further down on this page. 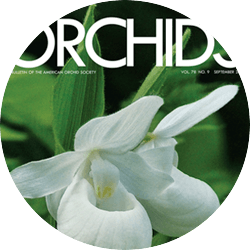 If you are anxious to get going with orchids, check our quickstart guide to orchid culture, ORCHIDS 101. 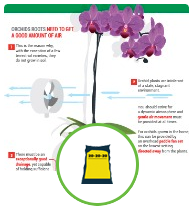 This article will give you an understanding of what is required for growing these marvelous plants! 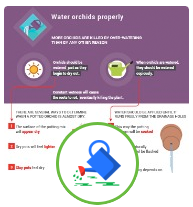 Refer to our culture sheets through the main menu for detailed information on growing specific types of orchids. 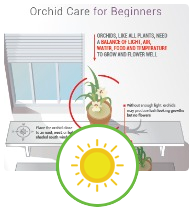 Whether you own just a few Phalaenopsis hyrids as "house plants" or are ready to begin the wonderful hobby of orchids, we have all the information you need to keep your orchids healthy so that they will bloom bigger and better next year! 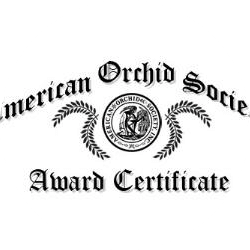 Join the AOS for the additional benefits of membership that include select "members only" web content and privleges PLUS our beautiful and informative monthly magazine, ORCHIDS. 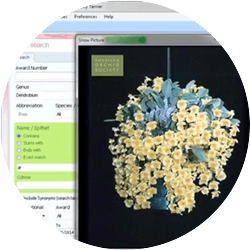 What's growing on the flower stem?